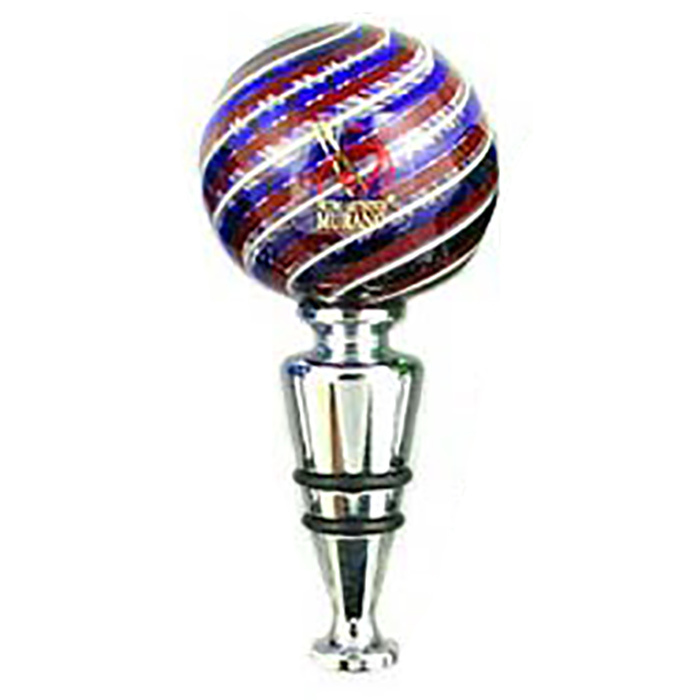 Handmade in one Murano's premier furnaces, each stopper features a blown glass ball atop a stainless steel stopper, complete with rubber rings for that perfect seal. The glass balls on each of these stoppers are made from cane drawn from the furnace's pot. Each ball measures approximately 1 3/4 inches in diameter, while the complete stopper is approximately 4.25 inches tall. The colors are a spiral of red, white and blue. Made in the LaFenice Furnace in Murano.